Anakin, Mika, Trixie & Pixie 😺 ❤ A nice cool day to sit by an open window. There have been lots of little birdies in the tree & even a squirrel! What a beautiful picture!! So great they all sit together and can be friends. 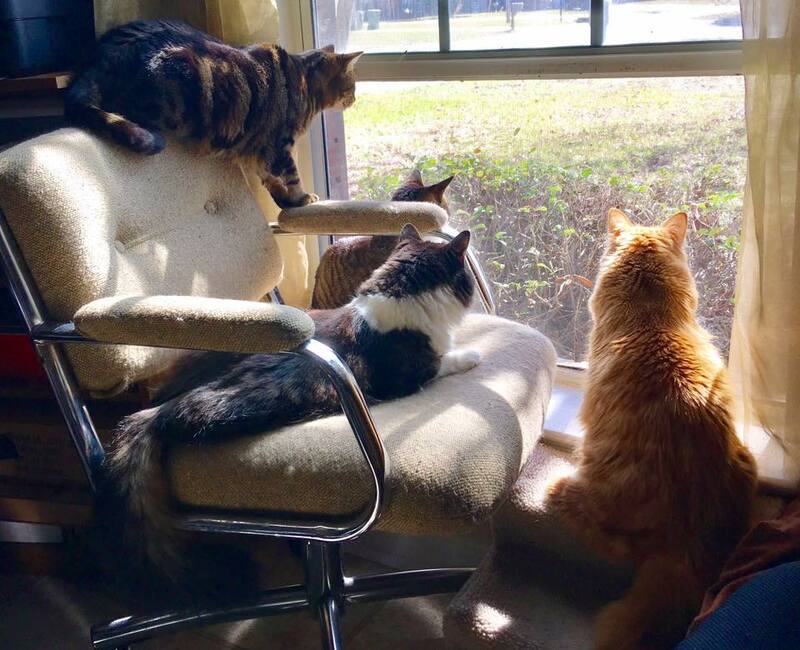 You all have fun watching the birdies and squirrel.